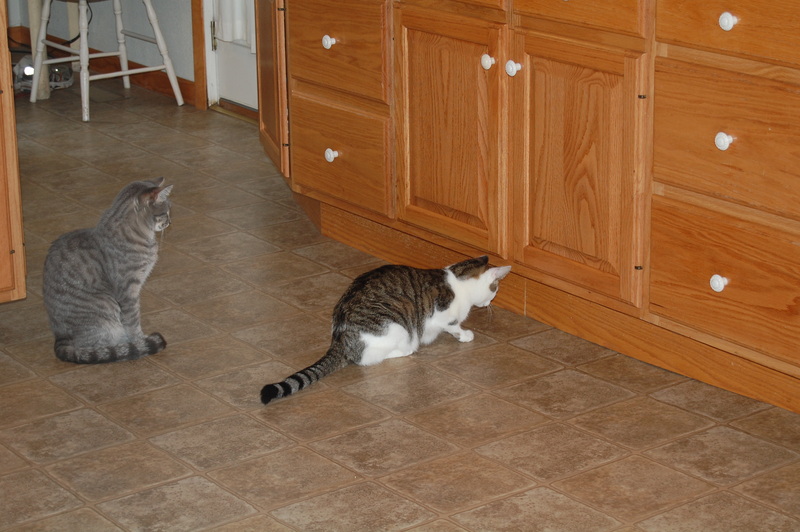 Hmmmm, me-thinks I haven’t finished with the “mouse.” It might just be MICE! Looks familiar! 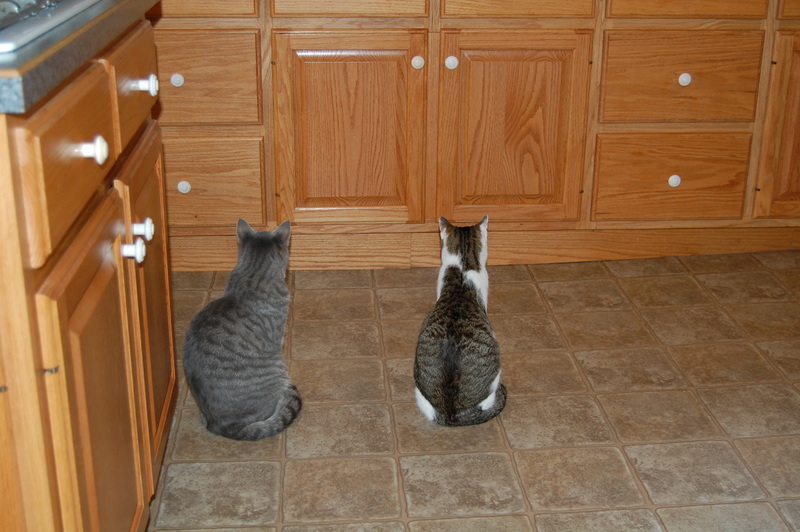 Our cats all lined up and started peeking at the spaces between the stove and cabinets and under the dishwasher.